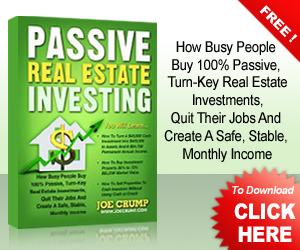 Question: How To Make More Money As A REALTOR By Becoming An Investor? 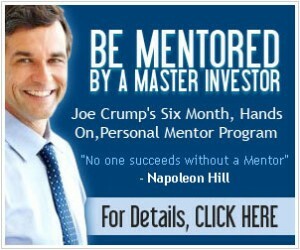 Dear Joe, Can you explain how I can make more money as a Realtor by becoming an Investor? I’m having a hard time getting my head around the concept. How can I invest when I don’t have any money to invest? I’d be your biggest fan if you could show me how it works. I’m going to explain the different ways you can make money as a realtor without using money or credit, using the techniques I teach. 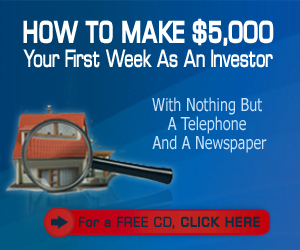 “Can you explain how I can make more money as a realtor by becoming an investor? I’m having a hard time getting my head around the concept. How can I invest when I don’t have any money to invest? 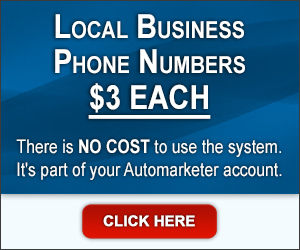 I’d be your biggest fan if you can show me how it works.” – Tammy from Los Angeles. 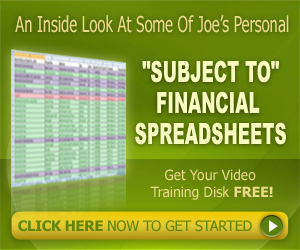 Joe: Well, you don’t need any money to buy these properties if you use the structures that I teach. I teach you how to use “Subject-To”, which I’ve talked about on previous videos, “Multi-mortgages”, land contract or contract for deeds depending on whether you’re in a mortgage state or a deed state, lease options, another great way to do this, and assigning cash deals. 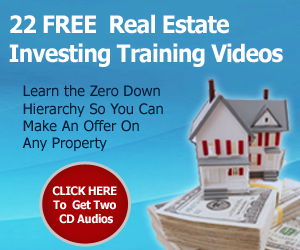 Those are the five major structures for buying property zero down. Joe: You truly do not have to use credit or down payments if you understand how these structures work. Basically, it’s all about seller financing of some sort. The trick to this whole thing is finding sellers who are willing to do it. Joe: I know that all of you are thinking, ‘How do I do that?’ It’s all about the marketing and making sure that you’re going after the correct target market, because if you’re going after the right people and they need your service and you can solve their problem for them, you’re going to be able to do this over and over and over again. Joe: We have done these types of deals hundreds and hundreds, if not thousands of times and students all over the country have done it in every type of market, i.e. up markets, down markets, fast markets, slow markets, etc. and it’s a very effective technique for buying properties and building your own wealth. 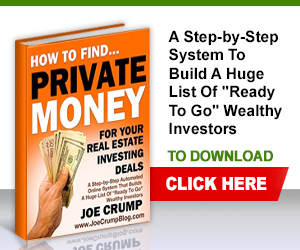 Joe: You can make money with this process as an agent either by just flipping these properties and making quick chunks of cash, or you can keep these properties. 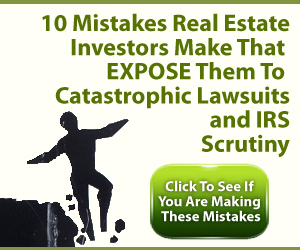 You’re still going to make the quick chunks of cash through getting the lease options and lease assignment fees and those types of things, but you could also keep the property and get the long term value of depreciation, appreciation, paying the loan down, just holding the property long term and making value that way. There’s great value here also in the tax savings. 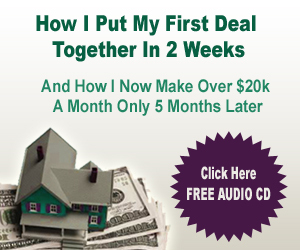 So learn this process and learn what you can do with it because it’s phenomenal for a realtor. Joe: As a realtor, when you start going after these target markets, what’s going to happen is you’re going to get a bunch of leads coming in. 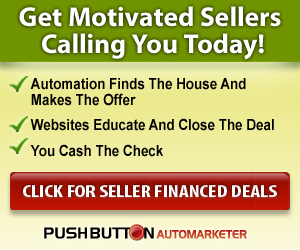 You’re going to be taking to FSBO’s, expireds and people who are looking to lease option. And by doing that, and using the techniques we have, it brings in up to 50 leads every single week if you use these techniques religiously – new leads that you can help solve the problem of. Joe: It’s doing it an unconventional way. It’s thinking outside the box. I don’t think there’s any real estate agent out there who’s teaching these techniques, but if you do use these things, it’ll explode your business – it’ll do all sorts of good things for you. Joe: And, if you haven’t had a chance to listen to my audio about this process, you should do that. Go to joecrump.com/realtor. Thanks. Talk to you next time.